There are only 19 days to go until Christmas so for those of you still struggling for the perfect gift, Sony Mobile gives six (6) gift ideas from their latest and top products this 2013. Hurry! Check out the breakdown below for the techie Christmas gift as released by Sony. Snap fantastic photos even when you’re underwater with the best camera available in an Android smartphone. Sony’s flagship Xperia Z1 combines blazing performance and speed in a precision crafted handset. With a camera developed by Sony’s digital imaging team, independent tests have shown that Xperia Z1 offers the best overall image quality of any smartphone – a fact backed by glowing top-rated reviews. 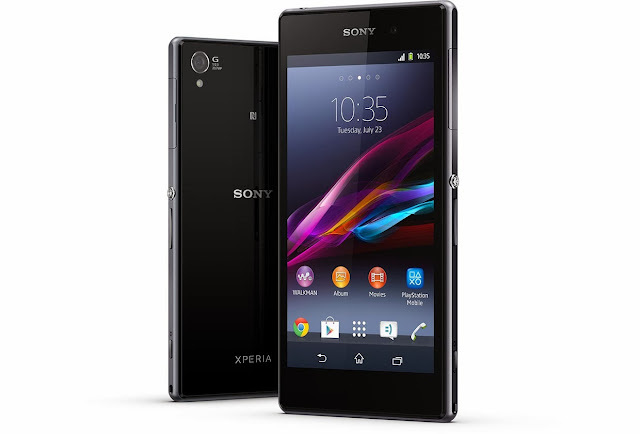 Xperia Z1’s screen technology was developed by the creators of Sony’s BRAVIA TVs and the phone is packed full of content from Sony Entertainment. To top it off, the phone is both dust resistant and waterproof (IP55/58) meaning you can confidently take pictures in the swimming pool or even in the snow. Think about the sharpest, most vivid TV picture you’ve ever seen and now imagine it on a tablet – that’s the kind of immersive viewing you get with Xperia Tablet Z. Voted ‘Best European Tablet of the Year,’ Xperia Tablet Z offers premium technology and design and is developed by the same people who created Sony’s BRAVIA TV range. Xperia Tablet Z brings HDTV viewing standards to tablet size. And that’s not all. 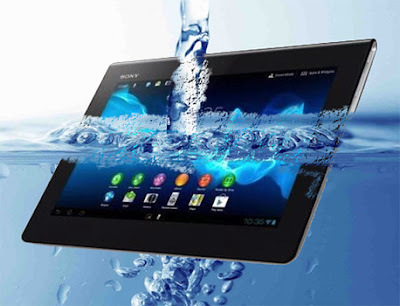 Xperia Tablet Z is waterproof with an IP rating of IP55/IP58, meaning you can even watch your favourite shows in the bath. Shoot precision detail photos just like the experts – but on your smartphone! Rated one of ‘The 25 Best Inventions of the Year 2013’ by TIME Magazine, DSC-QX100 is an attachable lens that fits onto your handset like interchangeable lenses attach to DSLR cameras. Easily snap pictures of the New Year’s Eve fireworks with a lens and sensor combination that makes short work of tough, low-light conditions, and what’s more, it features NFC and built-in Wi-Fi for easy one-touch connectivity. Smart-watch-2SmartWatch 2 is a handy second screen which mirrors your phone on your wrist. You’ll never need to take your phone out of your pocket or bag as you can now receive messages, social media updates and even control music from your watch. The world’s first Android-compatible SmartWatch with one-touch NFC connectivity, SmartWatch 2 combines style and function in a sleek Sony OmniBalance design. A multi-functional watch, Android app interface and phone remote control all-in-one, you can easily customise your SmartWatch 2 to fit your lifestyle with over 200 fully optimised apps now available on Google Play. With just a touch of your phone on this stylish portable speaker you can instantly blast your music onto Wireless Speaker SRS-BTV5. Connecting via one-touch NFC technology and Bluetooth, the speaker even lets you take an incoming call. The music will then fade so you can talk at full volume. If someone near you wants their music heard, they simply touch the speaker with their NFC smartphone. Just touch and you’re listening to new music. Perfect for the Christmas party. Sony’s Smart Imaging Stand IPT-DS10M is the smartphone stand that can detect a smile and follow faces, so that you can relax at your own party and let Sony technology do the job. Your smartphone senses faces and smiles, and automatically tells the smart imaging stand to tilt and rotate to stay in sync. Now you can capture amazing photos of your friends and even be in the picture yourself!